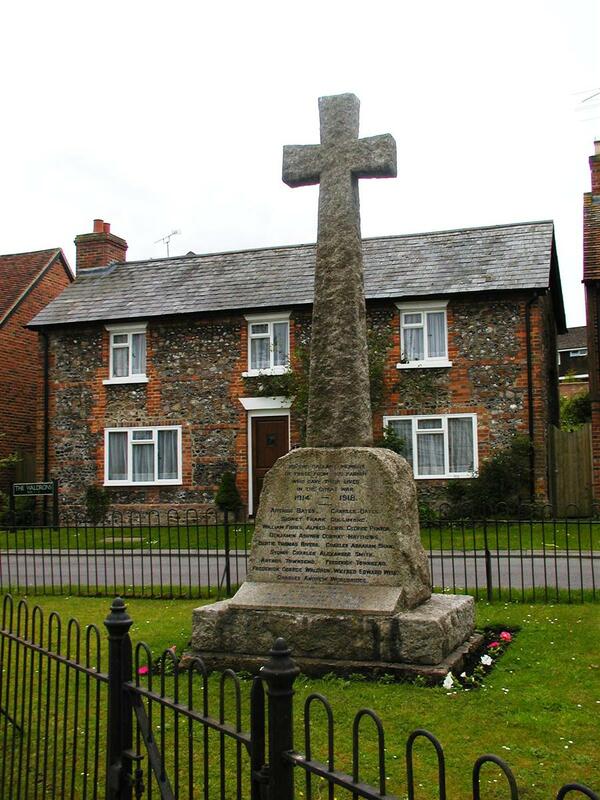 East Garston War Memorial – Dedication Service, 5 Dec 1920. East Garston War Memorial was unveiled and dedicated on Sunday afternoon. The service in church was conducted by the Vicar, Rev J L Tudor, and there was a large congregation, including relatives, ex-service men, and parishioners from the surrounding villages. The hymns sung were “On the Resurrection Morning,” and “O God our Help.” The Vicar standing at the altar steps read the names of the fallen, and solemn silence was observed, succeeded by the singing of “For all the saints.” A procession of the Vicar, choir and congregation made its way to the memorial, standing on an open space at the west end of the village, singing “Through the night of doubt and sorrow.” At the head was carried a processional cross, wreathed in laurel and white flowers. Col Noel Hudson, MC, DSO, gave an address, reminding the spectators that they were met to honour the brave men who had given their lives to save their country. He had fought side by side with many Berkshire men, some of whom they were now commemorating. Never, in the darkest hour of danger did they see fear, and their earthly bodies lie in France, Belgium, Egypt, Palestine, and even in the lonely desert. Their names should be held in hallowed remembrance. Colonel Hudson then removed the Union Jack which had draped the memorial, prayers were offered, the Last Post sounded, and the National Anthem brought an impressive ceremony to a conclusion. Many beautiful floral tributes were placed at the foot of memorial by bereaved relatives and friends. The memorial consists of a runic Cornish grey cross of St Miniver design, mounted on a granite boulder, with a foundation slab. It was erected by Messrs T Thorn and Sons, at Newtown-road, Newbury.